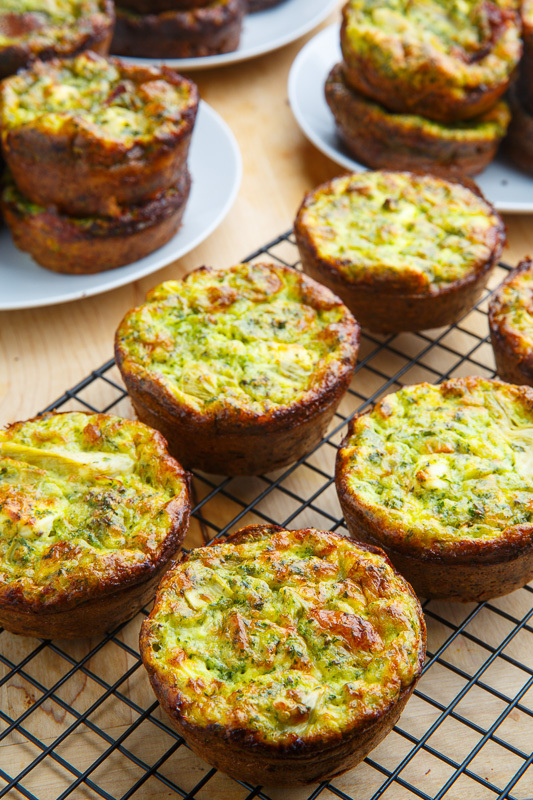 Quick and easy spinach and artichoke dip flavoured egg muffins! Looking for tasty breakfast or brunch for mom this Mother’s Day? These spinach and artichoke egg muffins are a quick, easy and tasty option that are kid friendly so they can help out in the kitchen! 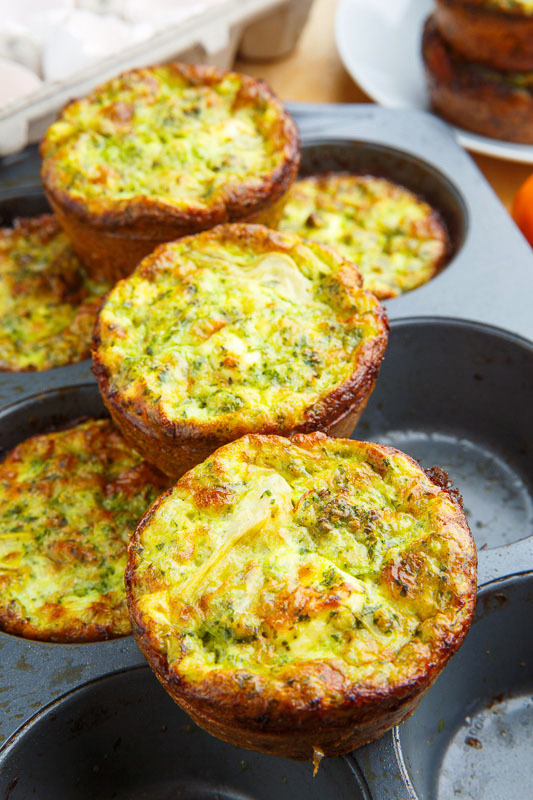 Spinach and artichoke dip is one of my favourite foods and why not have all of it’s flavours for breakfast in the form of egg muffins? 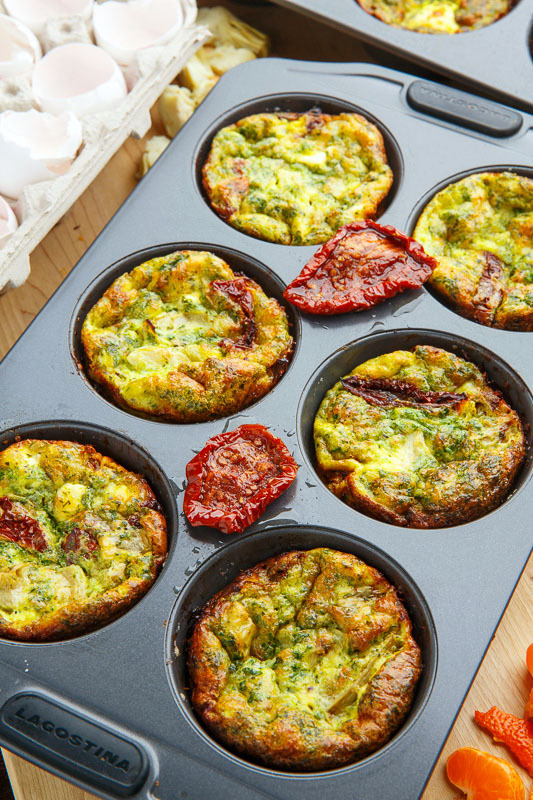 The base of these muffins is the eggs along with milk and plenty of cheese, with the spinach and artichokes adding all of the flavour! I like to use no less than three kinds of cheese in the form of mozzarella, parmesan and big chunks of cream cheese, which really makes these muffin taste like the dip! I like these muffins just like this but you can also add extra flavours like bacon, sundried tomatoes, etc. You can also add more healthy ingredients like quinoa, chia seeds, flax, etc. 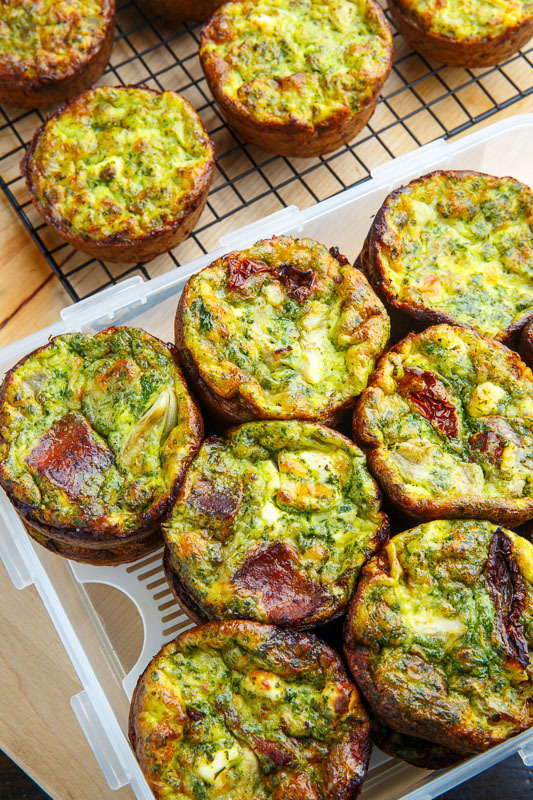 These spinach and artichoke dip egg muffins take almost no time to make and they are great still warm from the oven, at room temperature, reheated and they even freeze well. Make them in the morning or the day before or even make a large batch on the weekend for quick, on the go, breakfasts throughout the week! 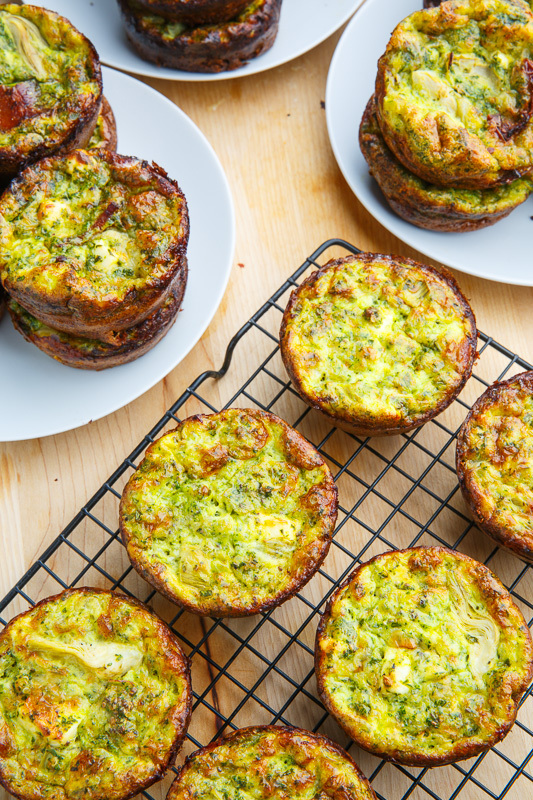 They are the perfect picnic or beach food, like mini quiches! 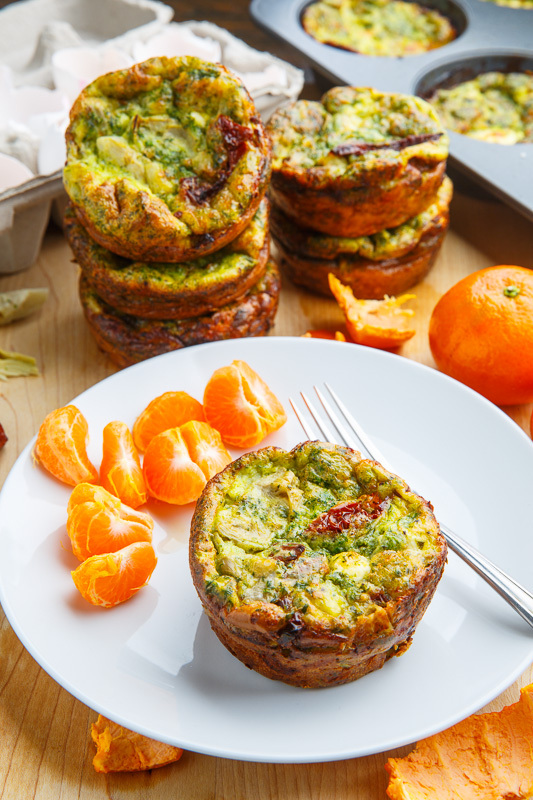 Surprise mom this Mother’s Day with some of these spinach and artichoke egg muffins! Option: Add 1/4 cup cooked and crumbled bacon! Option: Add 1/4 cup sliced undried tomatoes! Option: Add 1 cup cooked quinoa. Option: Add 1 tablespoon chia seeds. These would be amazing for a Mother's day brunch! 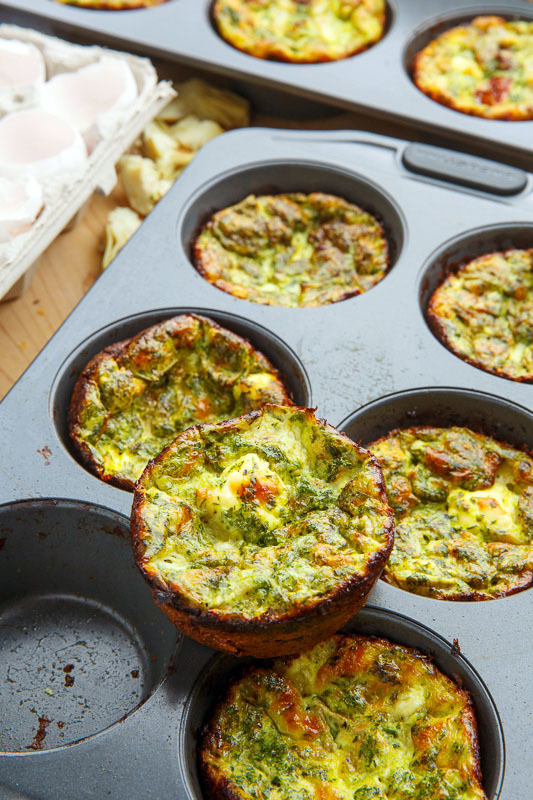 Healthy spinach and artichoke dip egg muffins is my favorite snack. I love these single serve egg muffins! Egg muffins are one of my go-to's in the morning! 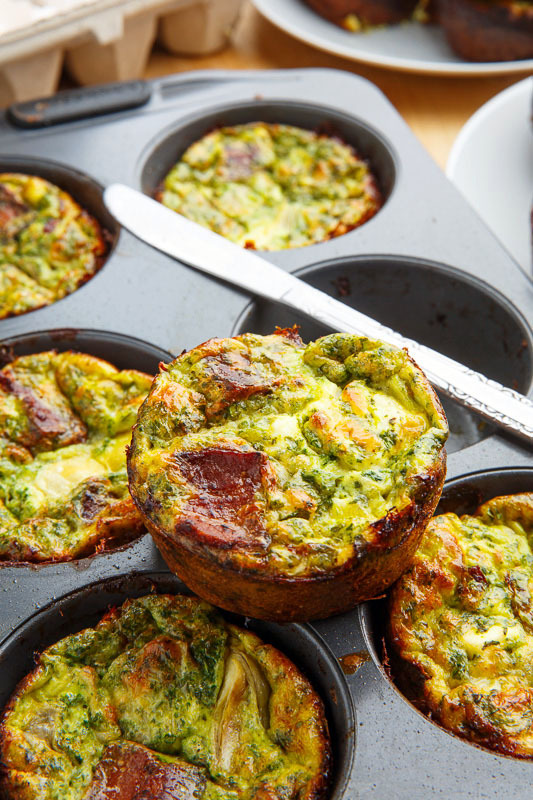 Love these fun breakfast muffins! Do you think sub the cream cheese with cottage cheese and leaving out Parmesan would work? Just trying to lower the saturated fat. Thanks!